3 bedrooms, ensuite shower room, family bathroom, open-plan living room incorporating sitting and dining areas, with a high-spec fully fitted kitchen. Oil-fired and under-floor heating. (EPC not required). 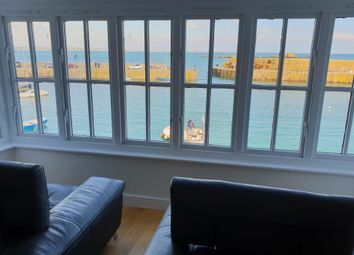 “The Lobster Pot” is one of the iconic Grade II Listed waterfront buildings in Mousehole, situated in a prime position overlooking the harbour, with spectacular views across Mounts Bay to St Michaels Mount and the Lizard peninsula beyond. 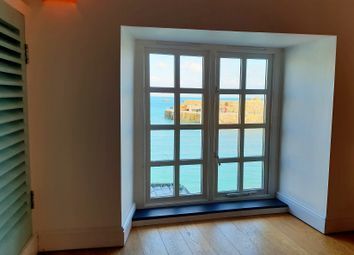 The first floor apartment, “Harbour’s Reach”, was converted from the original eighteenth century building by a local architect and upgraded by the present owner into a luxuriously appointed holiday home, which could be equally suitable as a main home. 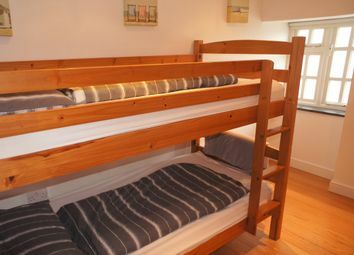 Features of the property include double glazing, oak floors and doors, vaulted ceilings and high quality kitchen and bathrooms. 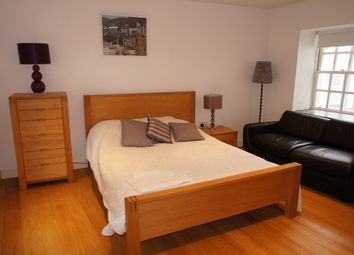 There is an oil fired heating system and also underfloor heating. 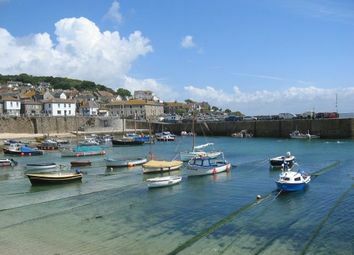 Mousehole has a variety of shops, post office, the harbourside ‘Ship Inn’ and the Old Coastguard hotel and restaurant. There is a regular bus service to Newlyn and Penzance. 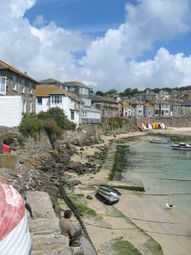 West Cornwall is renowned for its spectacular coastline and National Trust footpaths, with many sandy beaches and coves. 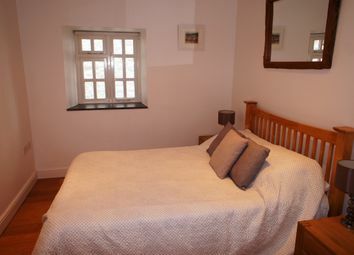 Attractions in the area include St Michael’s Mount, the Tate at St Ives and the clifftop Minack Theatre at Porthcurno. Steps to the rear of the property lead to the communal front door. With stairs rising to the first floor. The door to the property will be found facing the stairs. Oak floor. Recess for coat hanging. Double glazed windows and slate window sill. Wall thermostat. Entrance security phone. Wall mounted alarm. Electricity fusebox. Recessed ceiling lights. Glazed double doors to large open plan living room with dining room and kitchen off. 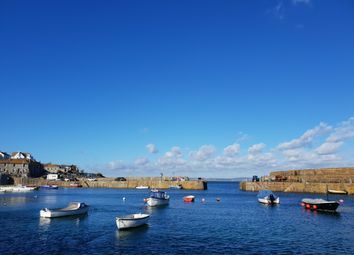 There are quite stunning easterly views across Mousehole harbour and Mounts Bay beyond, with the Lizard peninsula in the distance. 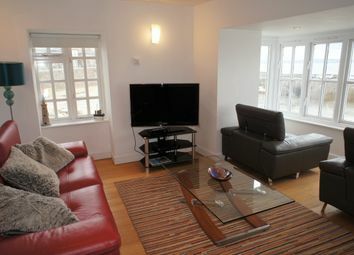 There are two aspects with double glazed windows and from the side windows the views are across the harbour front. Oak floors. Three wall light points and recessed ceiling spotlights. Wall thermostat and cupboard housing the underfloor heating controls. Recessed floor uplights and light dimmer switches. 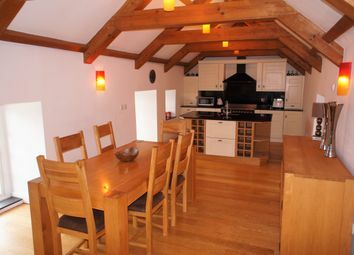 Vaulted ceiling with heavy exposed timbers. 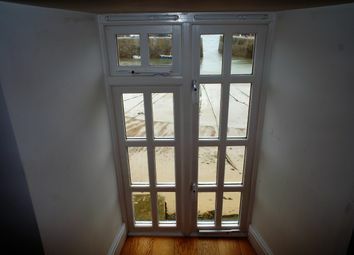 Two aspects, again with spectacular views across Mousehole harbour through double glazed windows. Oak floor. Four wall lights and pendant lights in addition. Cupboard with louvre door housing the Worcester Danesmoor 18/25 oil fired boiler and Ultrasteel pressurised water cylinder. Fitted with a range of cream fronted units including built-in freezer and refrigerator, washer/dryer and a range of base and wall mounted units. 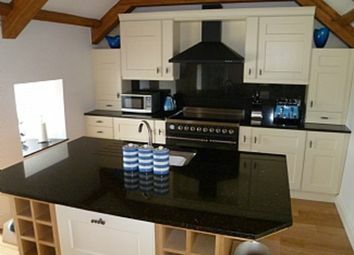 Peninsula work unit with polished granite work surface, with a stainless steel sink with mixer tap and a further worktop with polished granite surface and splashback. 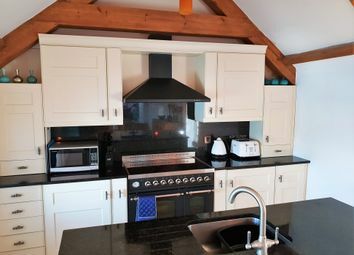 Five-ring electric Britannia range with twin ovens and electric extractor hood above with down lighting. 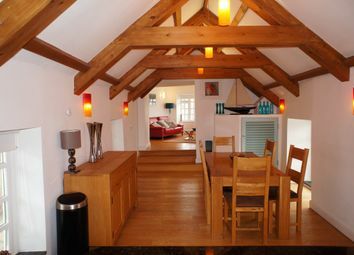 Oak floor, vaulted ceiling and with spectacular views across Mousehole harbour. Wall mounted thermostat. 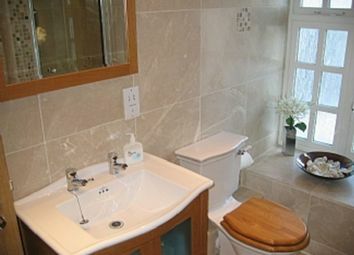 With white suite of low level WC, square wash basin mounted on vanity unit with mixer tap and mirror and shaver light/socket above. 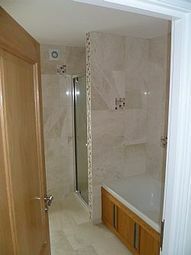 Shower cubicle with thermostatically controlled shower and glazed door. Recessed ceiling lights. Air extractor. Tiled floor and fully tiled walls. Medicine cupboard. Double glazed window with fitted roller blind. Recessed ceiling lights. Oak floor. Built-in cupboard with shelf and hanging space. Oak floor. Recessed ceiling lights. Double glazed window with fitted roller blind. Wall thermostat. 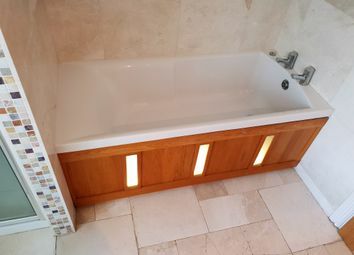 White suite of enclosed bath with concealed lighting in side panel. Shower cubicle with thermostatically controlled shower. Glazed door. Low level WC. Wash basin within vanity unit with mirror and downlighting above. Shaver socket. Frosted glass double glazed window with fitted roller blind. Air extractor. Electric radiator. Fully tiled walls and ceiling spotlights. Ceramic tiled floor. 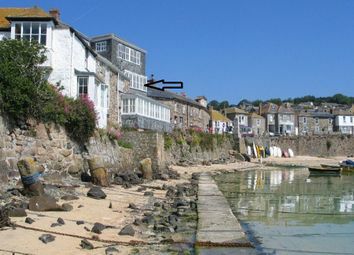 From the harbour-front by the Ship Inn, proceed past the pub with the harbour on your left hand side and the steps to the rear of the Lobster Pot are on the left hand side. 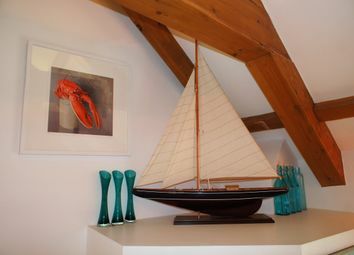 Continue down the steps to the entrance door and “Harbour’s Reach” is on the first floor.